Description This Peachtree City, Georgia hotel has an indoor pool, an outdoor pool, free internet access and non-smoking guest rooms. 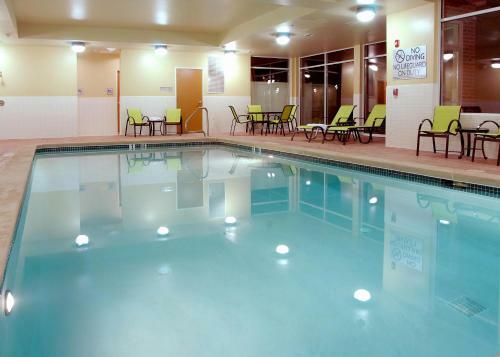 Offering an indoor pool an on-site restaurant and rooms furnished with free Wi-Fi microwaves and mini-fridges the non-smoking Hilton Garden Inn Atlanta Peachtree City is a smart choice for our guests. 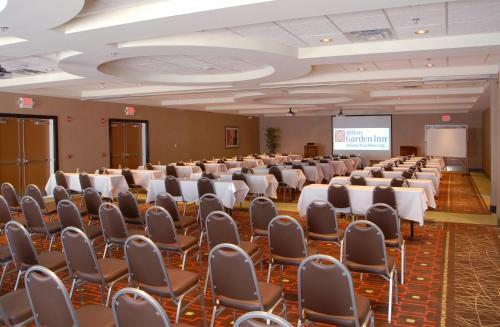 The non-smoking four-story Hilton Garden Inn offers 93 rooms that include signature bedding with down comforters and pillows free Wi-Fi mp3 players 37-inch flat-panel TVs microwaves coffeemakers and mini-fridges. 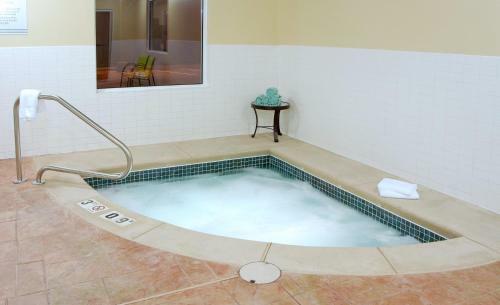 Splash year-round in the heated indoor pool or get some exercise in the fitness room. The on-site restaurant serves breakfast dinner and room service. Pick up a snack in the on-site market when you want a meal on the go. The business center is open 24 hours and offers secure remote printing fax and copy services and has a computer for guests' use. Parking is free. 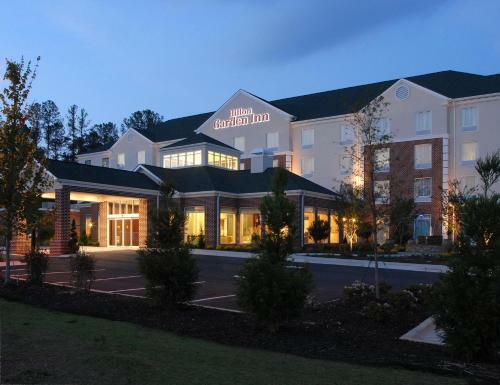 The hotel is located off Highway 74 one mile from the open-air shops restaurants and entertainment offered at the Avenue Peachtree City. The hotel is one mile from Flat Creek Country Club three miles from Planterra Ridge Golf Club and four miles from Braelinn Golf Club. Peachtree City Amphitheater is three miles from the hotel. Lake Peachtree two miles away offers lots of water-based recreation to help you cool off on a hot day. 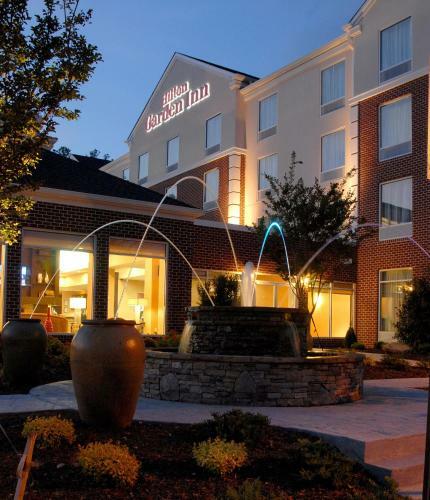 The hotel is 25 miles from Hartsfield-Jackson Atlanta International Airport. 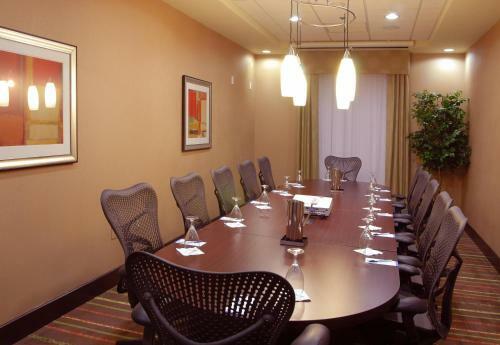 Add Hilton Garden Inn Atlanta Peachtree City to your free online travel itinerary.